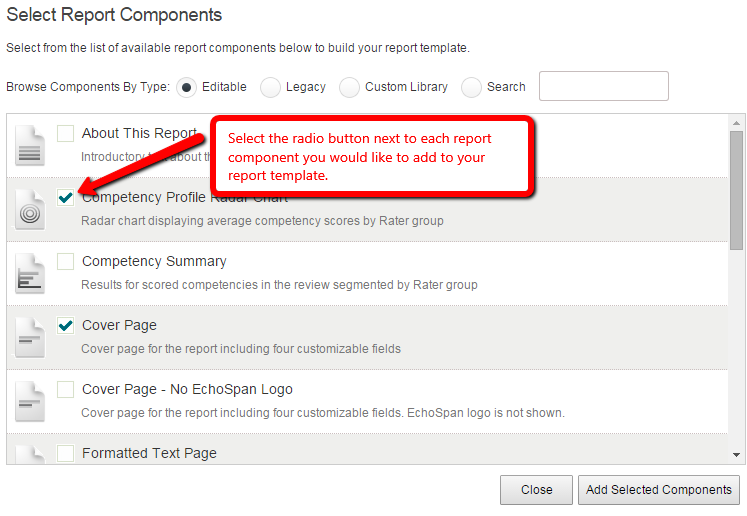 You can add report components to any of your custom report templates. These components can be moved around in order and customized once added to your template. Click the "Insert a Report Section" button at the top of the page to insert a new report section. By default the system will display EchoSpan's editable report components, which are recommended. NOTE: There are three types of components that can be added to your report template. Components from different sections can be used together. The new, editable report templates are recommended. Legacy - Static report templates from previous versions of the tool.